This is the most technologically advanced camera Sony have ever created and leverages the performance of a newly developed 24 megapixel Full-Frame Stacked CMOS Sensor. It’s clearly aimed at Sports and Wildlife photographers with the combined release of the FE 100-400 F4/5.6 GM OSS Lens that fills the biggest gap in their native E-Mount lens line-up. This camera/lens combo is also supported by Sony’s new super-fast memory cards that were recently released with read/write speeds of 300 MB per second. Sony managed to greatly reduce viewfinder black-out time in its α6500 APS-C camera but have completely eliminated it on the new full frame α9 camera. This camera is not intended to replace the three 2nd generation α7 cameras (α7SII, α7II and α7RII). Note > The list price of the α9 camera is $1,500 cheaper than a Canon EOS-1D X Mark II and US $2,000 cheaper than a Nikon D5. The Sony α9 shoots more frames per second at a higher resolution and for longer bursts than either of these two cameras. 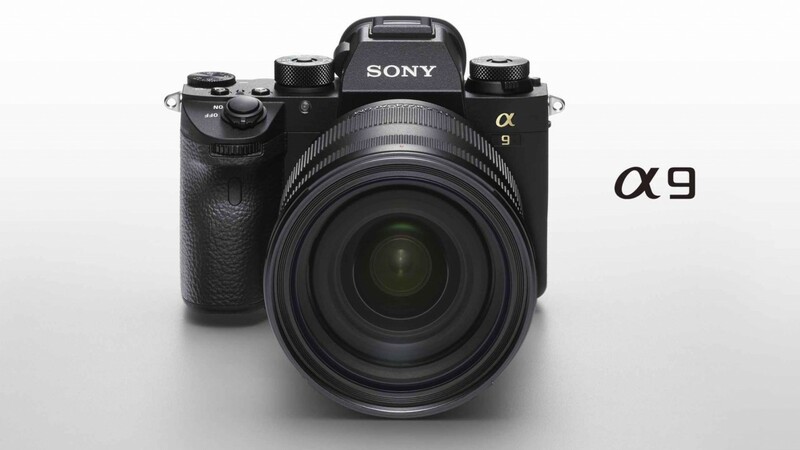 AUSTRALIAN NEWS: The α9 is available in Australia from 2nd June and is priced at AUD $6,999 (AUD 1,000.00 cheaper than DigiDirect’s discounted price for the Canon EOS-1D X Mark II). New Sensor – 24 megapixel Full-Frame Stacked CMOS Sensor with a wide 14-stop Dynamic Range and 14-bit Compressed/Uncompressed Raw. This sensor, like the 24 megapixel sensor of the A7II, has an Anti-Aliasing filter. Frames Per Second – Up to 20 frames per second with zero viewfinder blackout and a buffer that will allow 241 Compressed RAW or 362 Jpeg Images before slowing. 10 frames per second is possible when using A-Mount lenses in conjunction with the LA-EA3 adapter. Fast AF – 693 PDAF (Phase Detect Auto Focus) points that cover 93% of the Full frame Sensor (up from 399 Phase Detect AF points used on the α7RII) with claims of a focus that is 25% faster than previous cameras (presumably this refers to the α6500 camera). 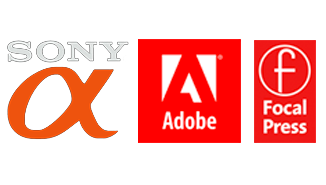 The A9 will focus down to EV-3 compared to EV-1 on the α6500. Sony are also claiming that Eye-AF (perhaps my favourite AF function on the α7RII) is now 30% faster. Sony also claim that PDAF will work on apertures as small as f/11 compared to f/8 of the α7 and α6K cameras. Dual SD Card Slots – including one UHS-II compliant for use with the newly released Sony SD XC II cards (also referred to as UHS-II) with a read/write speed of 300/299 MB/s (this was the strongest indication that an A9 with these type of specs was on its way). Fully electronic shutter – providing silent & vibration-free Shooting – the fully electronic shutter provides the advantage of zero vibration compared to a mechanical shutter (a shutter sound is optional). The maximum shutter speed is now raised to 1/32,000th second (2 stops faster than the 1/8,000th second of the α7RII). A mechanical shutter is retained for flash photography or when shooting under pulsing lights at high shutter speeds. When using the electronic shutter you can choose either a shutter sound or a visual display to confirm that photos are being captured as the live view is continuous or uninterupted. New Larger NP-FZ100 Battery – the battery is x 2.2 larger than the W series batteries and will massively increase the number of shots possible on a single battery charge. Sony claims 480 shots (approximately double that of the A7RII) using the viewfinder but photographers who have used pre-production versions of this camera are claiming they have captured thousands of frames when using the High Frame Rate. A new vertical grip was also announced that will hold two of the new Z batteries. New 3.69 Million pixel EVF – with 100/120 FPS Refresh Rate and twice as bright as the EVF on the α7RII – this feature basically removes any claim to superiority for the use of optical finders rather than electronic ones. Full-frame 4K movie recording – no pixel-binning at 25/30 fps (sampling from the camera’s 6K/24 Megapixel sensor) and the screen no longer dims when recording in 4K. Sony are currently NOT listing Picture Profiles for this camera (S-Log2, S-Log3 etc.). There has been no statement from Sony to say whether profiles are planned or not. Touch Control Tilting 3.0 inch LCD Screen – the EVF/Monitor switching is disabled when the screen is tilted upwards, making the issue of switching to the EVF due to the proximity of the EVF to the body a thing of the past. I am currently trying to find out more information on the Touch Control feature of the LCD. The α9 camera features an Ethernet Port, Sync terminal (for flash) and Dual Card Slots. Note the SD XC II card in the lower slots that has read/write speeds of 300/200 MB/s. The side and back view of the α9 camera shows the new Drive and Focus Mode dial on the top of the camera, the relocated movie button, dual card drive bay and AF-joystick. The body of this new α9 camera has a similar form-factor of the α7 cameras but features a larger grip and new dial on the top of the camera that enables the photographer to choose the Drive and Focus modes. The camera also features an AF joystick, an AF-ON button for back-button AF, and relocated movie and C3 buttons. On the top of the camera you will see the Shooting Mode dial has acquired a third memory recall (the Panoramic option has been removed from the dial) and the SCN mode has been replaced with S&Q (Slow and Quick / Speed and Quality for movies). A third door appears on the side of the camera to accomodate the new Ethernet Port and Sync Terminal. Weight (with battery and memory card includes) is 673 g / 1 lb 7.7 oz (less than 10% heavier than the α7RII camera). 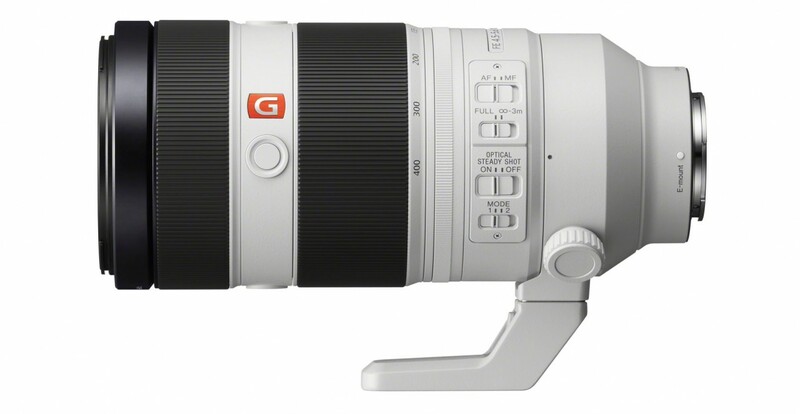 The new GM lens weighs 49.3 ounces or 1,395 grams (less than the FE 70-200 F2.8 GM and the SAL70-400 G OSS II) and is designed to keep up with the A9 with its use of dual motors. This lens plugs one of the few remaining gaps in Sony’s zoom lens lineup. I have been waiting for a native full-frame lens with a reach of 400mm for some considerable time. I have currently been using the SAL70400G OSS A-Mount lens via an LA-EA3 adapter. I will continue to use this lens until the release of the new GM which will be later than the availability of the α9 camera. The LA-EA3 adapter will allow 10 frames per second when using the electronic shutter. The new GM lens will be compatible with Sony’s FE 1.4x and 2.0x Teleconverters that were released with the FE 70-200 F/2.8 GM lens last year. 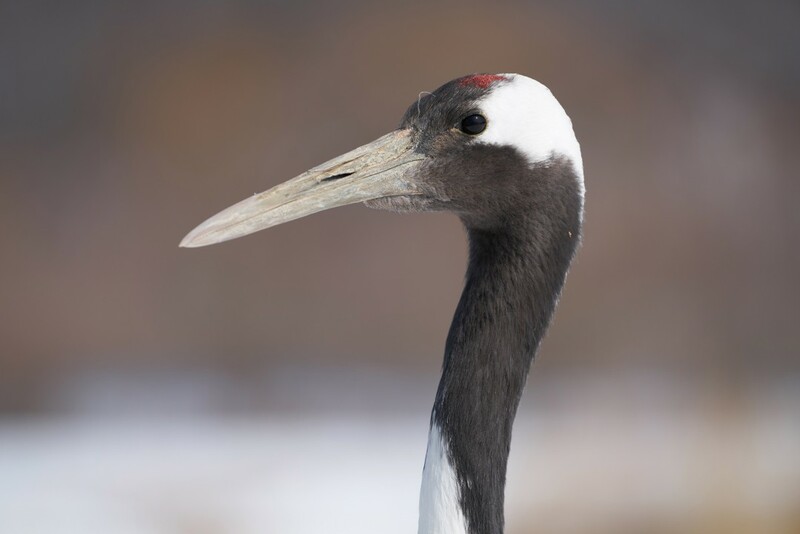 Image captured with the FE 100-400 GM OSS at 400mm at f/5.6 (maximum aperture) using an A7RII – click on the image to enlarge to observe feather detail rendered by this lens. This image was captured with FE 100-400 lens and the 42.4 megapixel A7RII. 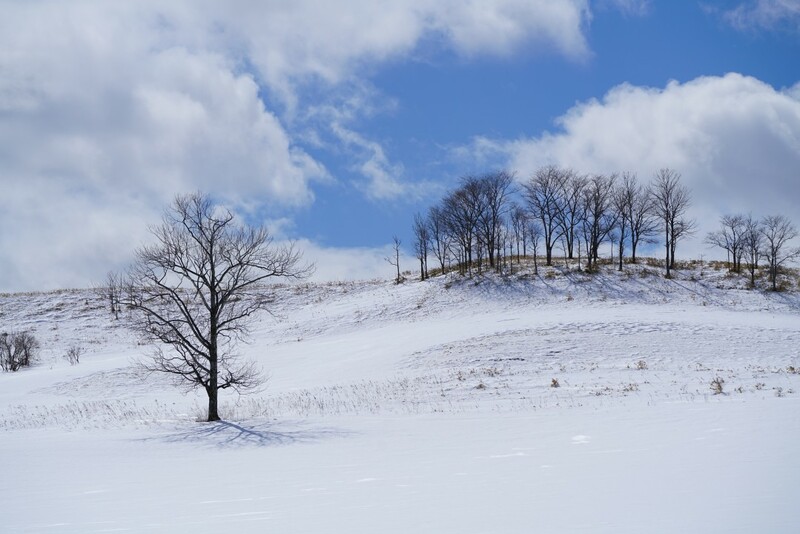 Click to enlarge the image to see the fine detail in the trees (use of a high definition 4K monitor is advised). NP-FZ100 Rechargeable Battery – high-capacity battery with approximately 2.2x the capacity of the NP-FW50 W-series battery. It also supports InfoLITHIUM technology, making it possible to view the remaining battery power as both a percentage display and five step icon on the camera’s LCD screen. VG-C3EM Vertical Grip – provides same operation, handling and design as the α9 camera, doubles battery life and allows USB battery-charging via the camera body. BC-QZ1 Battery Charger – quick-charging battery charger. Charges one new Z series battery in approximately 2.5 hours. 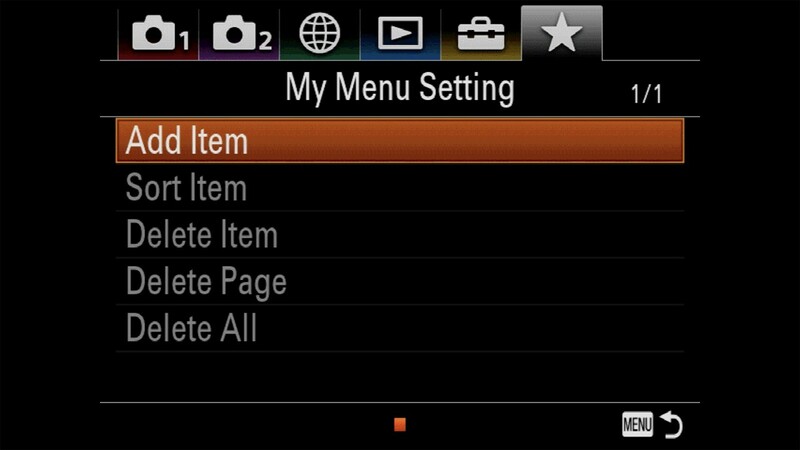 Sony are rolling out its newly styled menus for the α9 (as seen on the α6500 and α99II) with the addition of a new ‘My Menu’ Settings page – so finally the days of hunting through menus for the items we cannot assign to either the Fn menu or Custom Buttons have come to an end. The release of this new camera demonstrates Sony’s commitment to Innovation and its ability to both listen carefully and then respond quickly to the needs of Pro photographers. Sony referred to the Earthquake in Japan affecting the development schedule of this camera so the development of this camera from the ground-up after the release of the α7RII is indeed impressive. Sony have really broken new ground with this new technology and it will seriously disrupt the DSLR full-frame market with its mirrorless technologies that cannot only match the best that Canon and Nikon can make but surpass it in most, if not all, areas. Let’s not forget the bigger picture with this announcement – The α9 Pro camera may be out of the reach of the pockets of most photographers. I believe, however, that the technology Sony have unleashed on the market will eventually trickle down to the more affordable cameras – notably the ability to make a distortion-free fully electronic shutter that enables 20 frames per second without any viewfinder blackout. This is largely down to the new ‘stacked’ sensor. I don’t see Sony stopping at the α9. I would eventually expect to see the capabilities afforded by this new sensor to eventually be available in entry-level APS-C cameras. I do not see Sony limiting this ground-breaking technology to a single Pro α9 camera. The Mirrorless Competition: Sony is currently the only company making Full Frame Mirrorless cameras. The OM-D E-M1 Mark II, which uses a Micro Four Thirds sensor, also has the option for a fast frame rate using an electronic shutter, and as such, serves as an interesting comparison point to the Sony α9. Olympus have almost certainly switched to using a Sony sensor for their Mark II – which explains their advancements in Electronic Shutters – The Mark II uses 121 phase detect points instead of 693 points. The sensor is 1/4 the size of the Sony’s full-frame sensor and Olympus didn’t manage to remove the effects of shutter distortion at the high frame rate. A sports photographer contemplating using an Olympus would therefore have to switch to the mechanical shutter. Low-light sports would also be compromised because of the small sensor. Sony is leading the game. This entry was posted in Announcements, Blog, E-Mount Cameras, E-Mount Lenses and tagged A9, alpha, camera, Disruptive, E-Mount, FE100400, FF, Full Frame, Innovative, New, SEL100400GM.